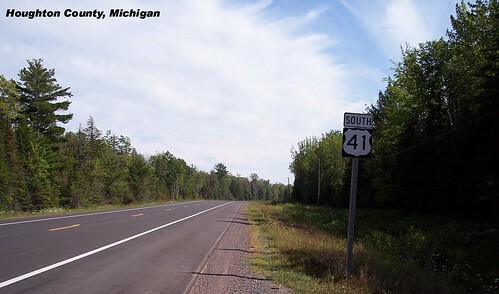 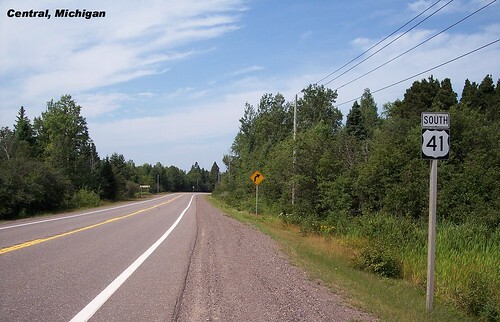 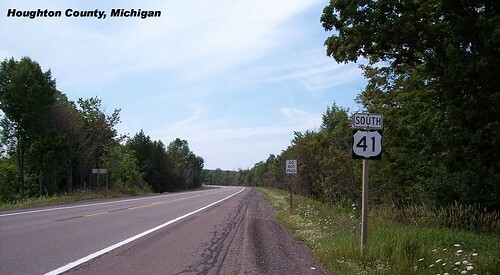 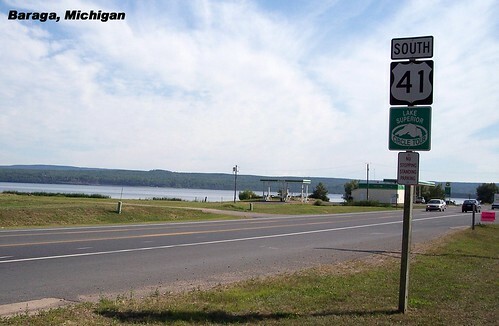 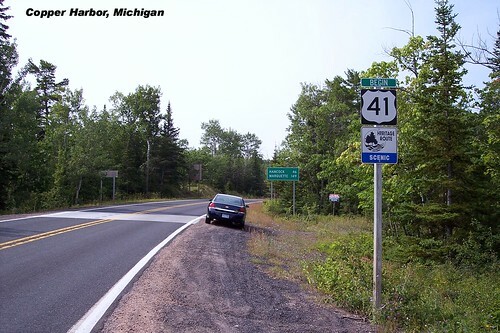 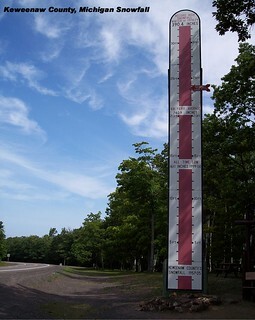 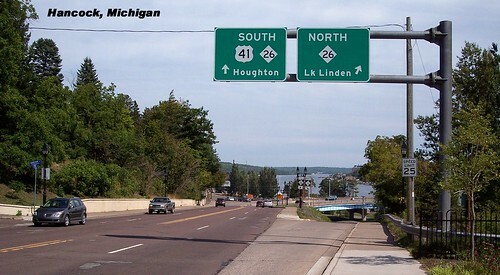 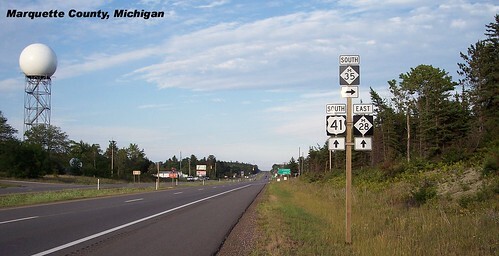 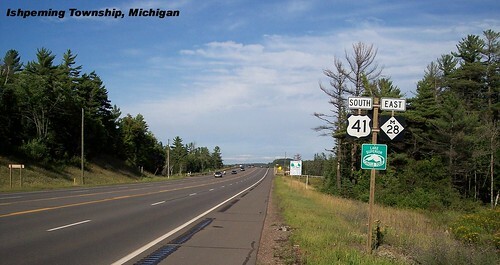 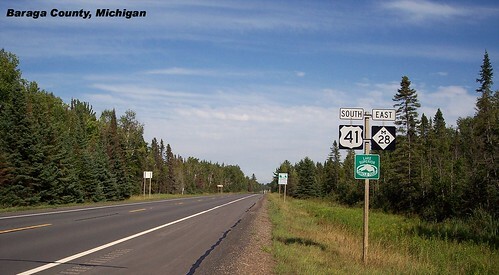 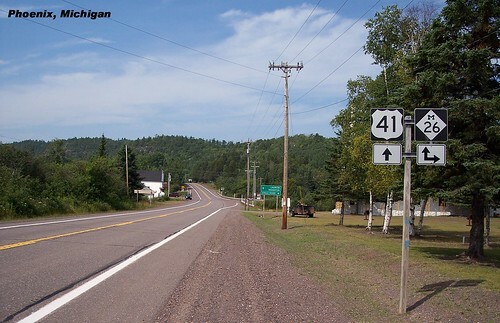 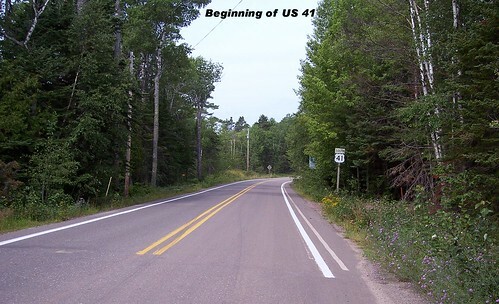 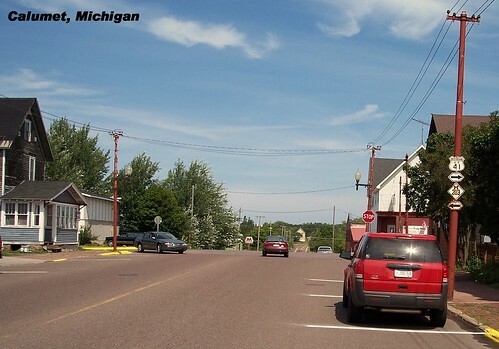 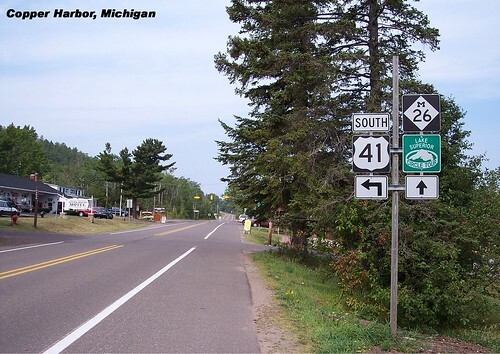 Our trip on US 41 began near the shore of Lake Superior. 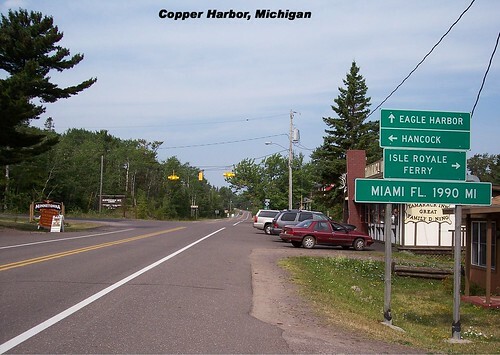 The mileage to Miami, our destination. 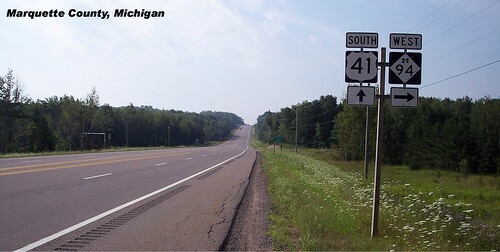 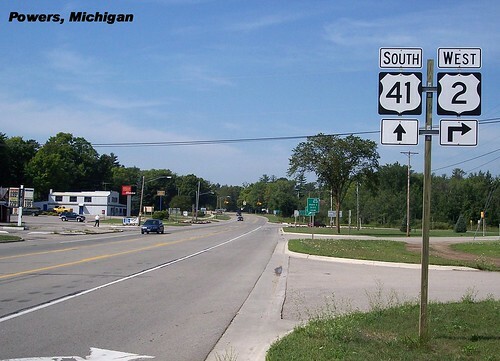 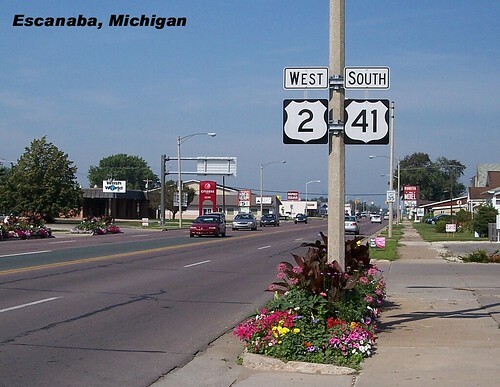 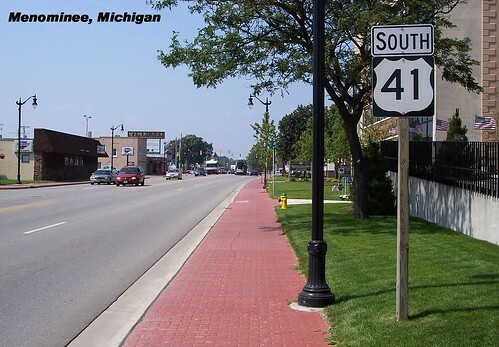 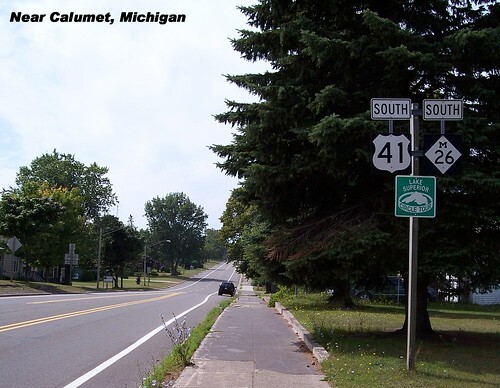 We pass an old cutout US 41 sign. 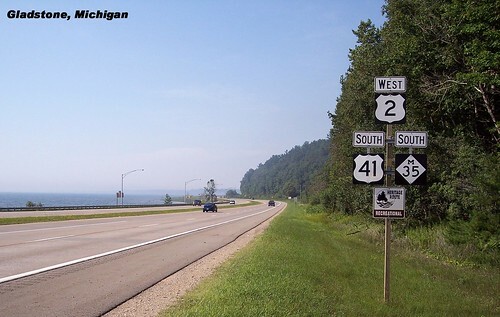 Riding along Lake Michigan now.